Many of our clients at Ray White Broadbeach want to share with you there success stories, so why don’t you join them. For further information on how our Property Management team can help you, just give us a call on 5553 1100 or click here. I really wasn’t expecting to receive any more statements from you as the property in question has now become someone else’s property, but it does give me the opportunity to thank you for the way you have looked after my interests during our business relationship. I have nothing but praise for the treatment I have received from all members of your staff, and am sure that this was due in no small measure to your leadership. I’m sorry our relationship is now at an end, and wish you health, wealth and happiness for the future. Amateur Investors like myself like to see their money safeguarded and well looked after. We don’t like losing it or people abusing it! This is the same in property investments. It’s a huge achievement to acquire the properties but an even greater task to make sure it stays well looked after til the day you off sell it and hopefully make some money on it 🙂Erin– has helped with giving me peace of mind with my investment property. I had never intended on having a property manager as they are stereotyped to just take their fees and not do much of a job- but in Erin’scase she’s worth it all, plus more! I first met Erin when I was having strife with my tenants-not paying rent (for 3 months) , causing malicious damage to the property with doors and walls hanging off. I had trouble making an appointment to see the property let alone much of an understanding as to how to legally evict the tenants . I was introduced to Erin after much dealings through my solicitor. Erin literally took the headache off my hands and welcomed me to her expertise- “I’ll take care of it from here!”. And so she did; from the evicting to the dealings with the insurance company to restore the premises and further to finding “good” tenants who look after the property as if it were their own. Erin, now “looks after” another property of mine where she was only too happy to help with preparing the house for the rental market! She understands that I have a busy life and is always eager to take the pressure off. I coin her my PERFECT personal assistant! Thank you Erin Ridley and well done to the team at Ray White Broadbeach for attaining such a valuable asset! I have dealt with Stacey for around 4 years and with the team at Ray White Broadbeach for just over 2 years.In that time I have found Stacey to be outstanding at her job and would thoroughly recommend her and the property management team at Ray White Broadbeach. Stacey has always been able to attend to my queries in a timely professional manner. She always provides a clear and concise update of the current situation regarding my property. She has been invaluable in offering advice regarding repairs and maintenance of the property, the current rental market on the Gold Coast and how the tenant is treating the property etc. Stacey never failed to follow up on unfinished requests or special requests regarding receipts etc. Her chosen tradesman and maintenance contacts have done excellent work on the property for very reasonable prices. I live interstate so I have complete peace of mind regarding the fact that I have someone reliable and trustworthy to take care of my property. In times of Stacey’s absence, the other members of the team at Ray White have been very helpful and professional in keeping me up to date in regards to issues surrounding my investment. I have yet to visit the property since Stacey has been our property manager. This is testament to the faith and confidence I have in her ability to act in our best interest and to ensure a comfortable living environment for the tenant. She ensures that we meet our compliance obligations as landlords and this gives us peace of mind in today’s litigious environment. 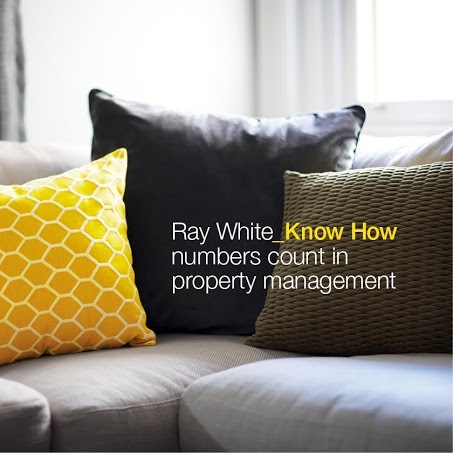 I look forward to a long association with Ray White Broadbeach as our property manager for our QLD investment properties. Please feel free to contact me if there is any further information required. Thanks for your message. I’m delighted to express my pleasure with your ( Ray White Broadbeach) services over the years. I cannot fault the way you do business and am very glad that you take care of all the hard work in renting out my townhouse. I have peace of mind when I know you will deal with the repairs, collect the monies and send regular updates about the property. I hope to have many more years working with you and your company. This is a testimonial on the prompt and professional service that Tracey Price, Property Manager, of Ray White Broadbeach plays on Managing our Property at Mermaid Waters. Having a Property Manager that is both efficient and always ‘on the ball’ is critical to both my husband & I, as we live in Sydney and rely on Tracey’s communication with us and the efficient manner in which she deals with Trades people and out tenants whenever there is a concern with out property. Tracey demonstrates constant expertise and is always contactable when needed to follow through on any issues. She has excelled in our expectations in being our Property Manager – ensuring that both my husband & I and our tenants are happy and looked after.